Staying in with a bottle of bubbly or hosting a casual “ball-drop” party at home? 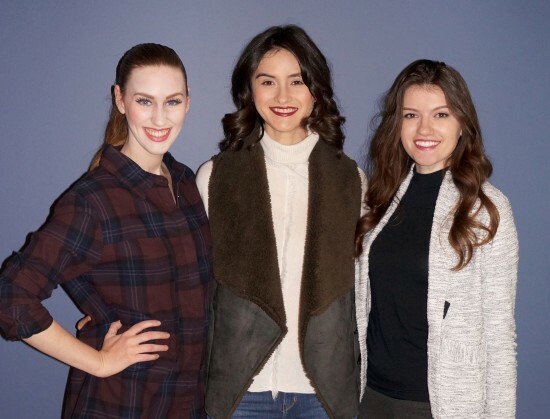 We have a preview of the perfect comfy, cute looks for an easygoing New Year’s Eve that will be featured on NBC Channel 12’s Arizona Midday NYE special. Angela shows at-home NYE outfits for lounging around and toasting the new year with family and friends without sacrificing style. Read: NO sweats or yoga pants! The show will also have NYE hairstyle tips from Bloom Salon, the best champagne to buy for your par-tay, and entertaining tips from the incomparable Victoria Canada! For details or questions regarding any of the items featured in the segment or shown in the photos, please email angela@momstylelab.com or comment below. Special thanks to Amy, inc at the Mix Shops at Southbridge in Old Town Scottsdale (480.425.1424) and Sillin Inc. for providing the outfits featured!